The true-life story of professional soccer player, Kurt Kuykendall is told in this riveting drama starring Jason Burkey of October Baby. Received five stars from the Dove Foundation-their highest rating! Milltown Pride is an entertaining evangelistic movie that recalls a bygone era while conveying relevant truths for today. 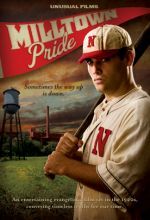 Milltown Pride tells of a young man who dreams of playing professional baseball, his rise as a baseball star, his fall from grace, and the redemption he finds through faith and love. 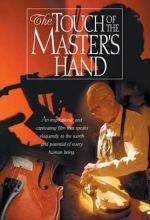 "The Touch of the Master's Hand" is an inspirational and captivating film that speaks eloquently to the worth and potential of every individual. This film parable, based on the beloved poem by Myra Brooks Welch, illustrates why all life is valuable and that anyone can find renewal and begin again. 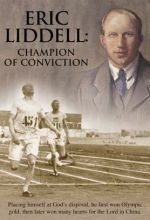 Eric Liddell lived for the glory of God as an Olympic athlete, a husband and father, a missionary to China, and even as a prisoner in an internment camp. Based on the true life story of Kurt Kuykendall, a one-time Olympic hopeful who became an Olympic athlete. But not for the sport he intended! 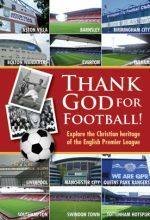 ﻿Explore the Christian heritage of the English Premier League﻿. Football historian Peter Lupson tells the story of twelve of these clubs and the people who have made an exceptional contribution to the beautiful game. In this 11-part documentary series he takes us to the places where the clubs began over a century ago, and also visits the stadiums they occupy today. When a high school football star is suddenly stricken with irreversible, total blindness, he must decide whether to live a protected life or summon the courage to continue playing football with the encouragement of his friends and determined coach. Based on a true story. 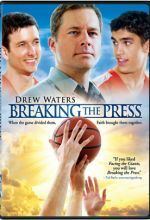 This inspiring retelling of the Prodigal Son parable stars Drew Waters (TV's Friday Night Lights) as Joe Conahey, a high school basketball coach whose Christian faith is tested by a season of discontent. 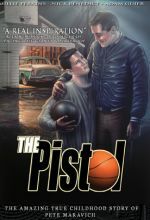 Joe hits rock bottom when his adopted son Josh, the team's talented but self-centered star, transfers to a big-city school, betraying his teammates and family. Only through the power of prayer and forgiveness, can the troubled Josh make his way back into the arms of his loving father and find redemption. An uplifting and inspirational story of how one father's love and support had a profound impact on his son's life.